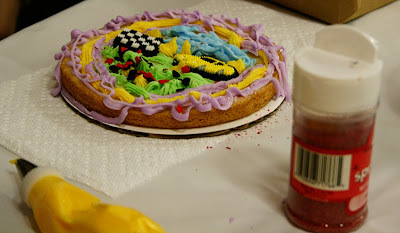 As I promised, here are a lot more photos from this past weekend’s 2010 Panhandle Cake C.R.U.M.B.S. 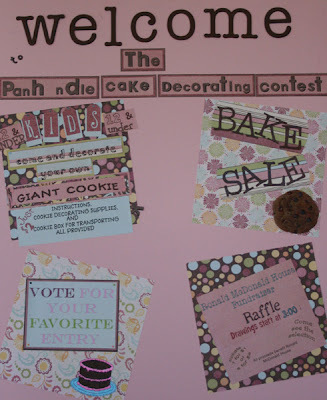 Cake Decorating Competition. The theme this year was fairy tales so it was fun seeing all the stories represented in sugar! 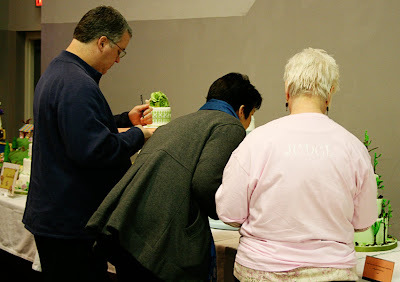 and a demonstration by Linda McClure on how to use the Cricut machine to decorate cakes! Oh yea, now that’s a fun, yummy-looking cookie! To get this photo, I sneaked up behind 3 of the judges as they began to inspect the first cake in the Adult Professional Division. This Sleeping Beauty was one of my favorites! 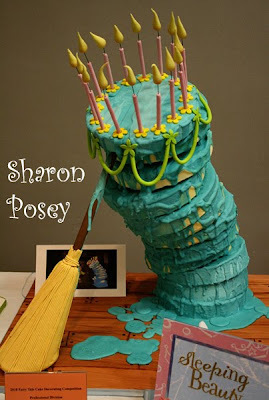 Perhaps it’s because Aurora is my favorite Disney Princess…but most likely it’s because Sharon did such an amazing job on the cake! And here’s another of my favorites from the show. 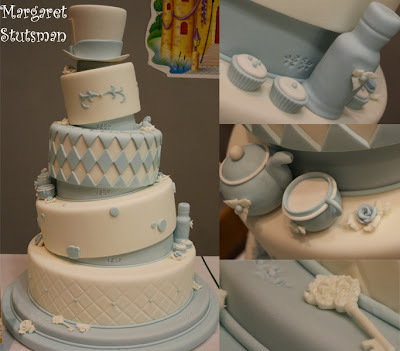 Margaret Stutsman made this gorgeous Alice in Wonderland cake. The color was absolutely perfect, don’t you think?! But it was the small details, like the ornate key, the cupcakes, and the teapots, that really won me over. The amazing members of the Panhandle Cake C.R.U.M.B.S. are already planning next year’s competition. And the theme? The 60s! 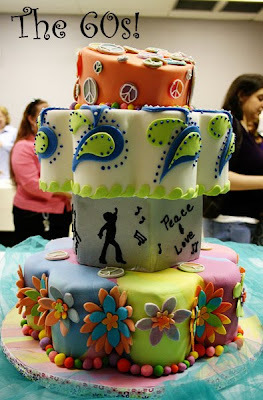 *Unfortunately, I didn’t manage to get a photo of the front of Kathy’s Shoe cake. However, don’t you love the little buttocks showing in the top window?! Too cute! **Hey, that’s me! I also won People’s Choice and Best of Show! 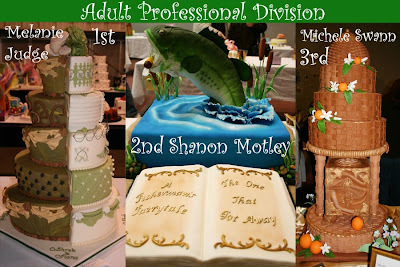 ***And Shanon also won Decorator’s Favorite! This entry was posted in Uncategorized by Ph.D-serts & Cakes. Bookmark the permalink. YOU HAVE POSTED AND LABELED THE PICTURES INCORECTLY. 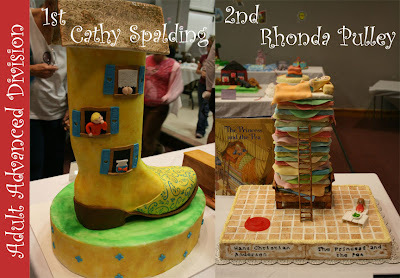 NATALYA BRAGG DID THE CINDERELLA CAKE IN THE CHILDRENS DIVISION WINNING 2ND PLACE AND ROSELYNN MACK DID THE SLEEPING BEAUTY CASTLE CAKE IN THE YOUTH DIVISION WINNING 4TH PLACE. THE PICTURES NEED TO BE REVERSED. Thank you for pointing this out! I have reversed the cake photos so they should be correct now.